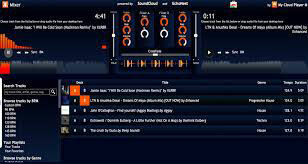 SoundCloud has one of the biggest music libraries available today on any website or application. Many of us want to share music with other people or just listen to the tracks offline. Downloading SoundCloud tracks is a rather tricky process. In addition to this, the tracks need to be converted into formats which can be played on your Android, if you want to transfer the tracks to your Android. Well, then you are quite lucky because this article will make the whole process easier and you can choose which app suits your need. Following are the top 6 apps that facilitate the download of songs from SoundCloud and convert them. This is one the hottest apps of the season. The app quickly downloads and converts music to formats which can be easily playable on Android and Apple devices. 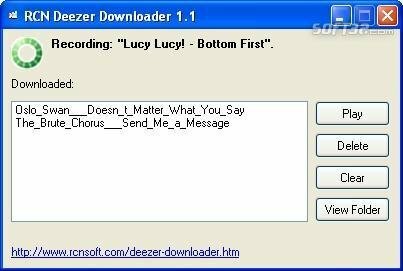 The application does not even require you to find the URL and then use that to download the music file; you can just use its inbuilt browser and download the music file with just one click. However, you you want to download music from a specific online site, no worries, just copy the music URL from the site and then paste the URL into the blank to finish the downloading process. 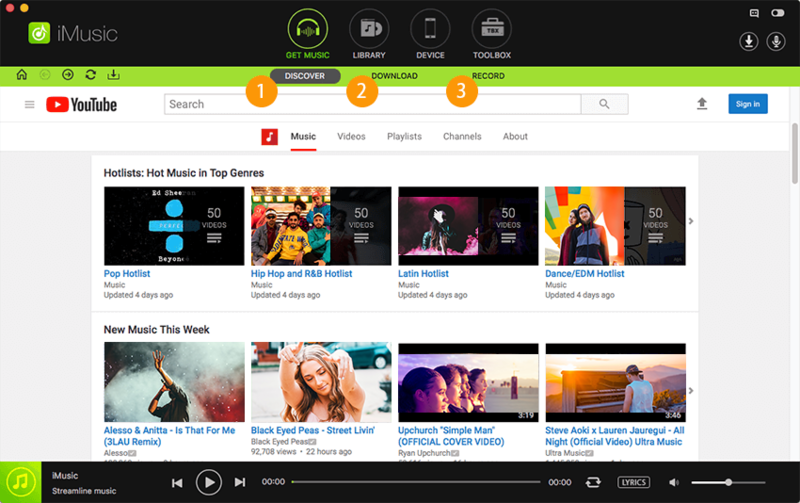 Besides downloading music from SoundCloud, iMusic also supports 3000+ popular online music site, you can download any music as you like. Now let's look at some other outstanding features of iMusic. Directly download music video or MP3 music from SoundCloud, YouTube, Pandora, Spotify, etc. Equipped with a well-balanced music recorder which allows to capture any playing audio. Transfer music between Mac, Windows, iPhone, Android devices as you like. Help backup iTunes music library, repair or rebuild iTunes library when you lose it by accident. 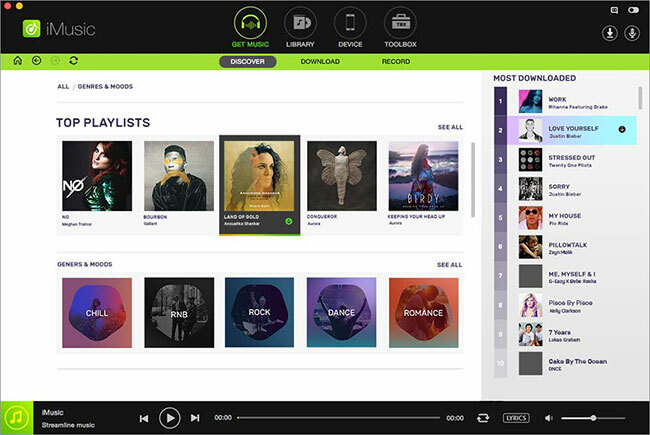 Built-in music library to display all the hot music tracks, music video or Playlist automatically. Step 1: Open the app, hit the GET MUSIC button on the top of the app. When that window opens, click download. This will showcase a window which will consist of a URL box, beneath that box will be icons of websites such as Youtube, Soundcloud, and Vevo, etc. 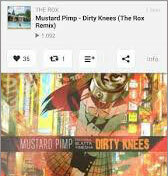 Step 2: Click the Soundcloud icon, and the SoundCloud page will appear. Browse the song you need and then click the download button on the topic. 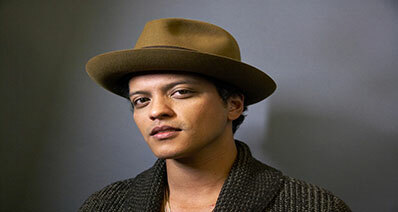 The app will ask the format in which you want to download the track. Select MP3 and hit download. Step 3: Then connect your Android device to your computer. As soon as the device is plugged in, it will appear in the device window. In that window, there will be a small icon on the top left corner of the app. Click that icon and it will showcase your entire music library. Select the songs you wish to transfer and then click the + button. This is the state of the art app that was developed by Gruebel Tech. It helps you download songs from SoundCloud; all you have to do is copy the link of the song from the official Soundcloud website and paste it into the URL box of the app. Consists of Mp3 tag editor. This is another app that just does not download songs but also recognizes any music playing around you or any tune you hum. It is a very promising app and convenient to use. It can be used to listen to music from several streaming websites. Can be used to download songs from Soundcloud. This app is very popular among the users. First, it may seem like only a SoundCloud track player, but it also has an option that allows the downloading of tracks from Soundcloud. This application has been considered as one of the best apps in the market today. It also gets updates from your Dashboard, stream activities. 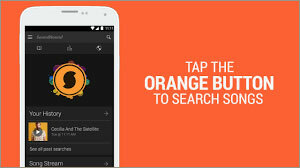 This app also assists in the downloading of music files from SoundCloud to your Android device. This app lets you search music with your voice. This app has become very popular among the users. Also, helps look for different information. 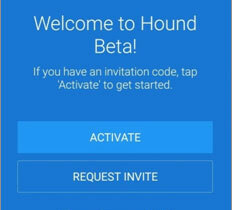 The app has a modern, sleek, fast and intuitive interface. It helps download and plays high-quality videos. 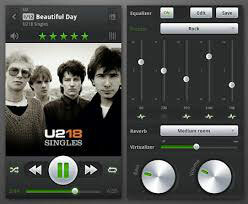 The app also offers free plugins to enhance it. It can be concluded that all the apps listed above have their unique features. It clearly depends on the specific need of the user, to determine which app he or she prefers. The table is given below further summaries the features of the apps listed above.